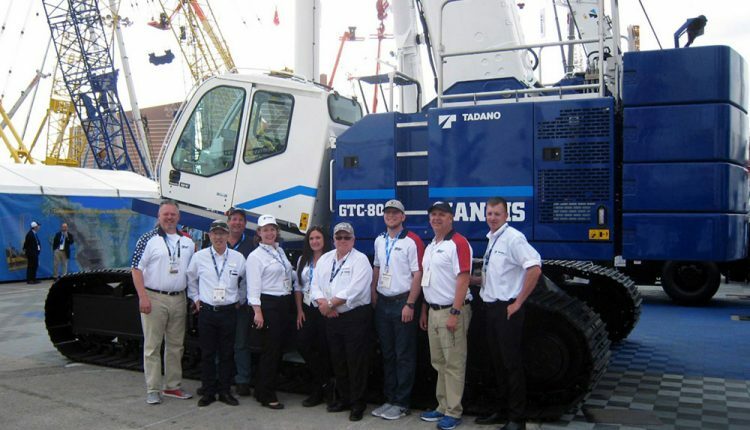 Empire Crane Company has ordered new Tadano Mantis telescopic crawler cranes, including the new 88-ton capacity GTC-800 and the 77-ton capacity 15010 model. “Having seen an increase in rental utilization and quoting activity with the Tadano Mantis product, we saw the need to position ourselves to better meet the customer’s requirements in the northeast,” said Empire Crane owners Luke and Paul Lonergan. The 15010 has a four-section main boom reaching to a height of 111’6”, plus a 50-foot bi-fold jib. It also has Tadano’s AML-C rated capacity indicator system, a 260hp Cummins QSB6.7 Tier 4f engine and is approved for use in New York City. Both models include Tadano Mantis’ improved performance swing system. This controls the swing via a direct coupled hydrostatic transmission allowing for smooth control of the swing function in either a free swing mode (allowing checking of the swing with the joystick control), or a non-free swing mode (giving precise slewing control following the position of the joystick).